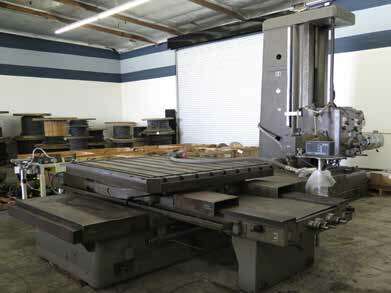 Bliss 75-Ton OB I Stamping Press s/n H64614 w/ 4” Stroke, 15” Shut Height. Walsh No.65 65-Ton OBI Stamping Press s/n W-1679A. Federal 50-Ton OBI Stamping Press s/n 5-1520. Dake mdl. 51-185 “Norta-Matic” Hydraulic Stamping Press s/n 170477. Rousselle No.0E 5-Ton OBI Stamping Press s/n 21464 w/ 200 Strokes/Min 8 1⁄2” Shut Height. Rousselle No.0A 5-Ton OBI Stamping Press s/n 22886 w/ 200 Strokes/Min, 5” Shut Height. Alva Faller BT5 5-Ton OBI Stamping Press s/n BT5-JFJD63307. Rousselle 3G c-Frame Stamping Press s/n DGS10437. Niagra A1 1⁄4 OBI Stamping Press s/n 22240. Rogers No.20 C-Frame Punch Press s/n R-20-512 w/ 11” Throat. Rousselle No.1A OBI Stamping Press s/n 2034. Benchmaster mdl. 154-E OBI Stamping Press s/n 66459. (3)Stokes F4 Dual Pressure Presses. (7)Stokes mdl. F Tablet Punching Machines. Jacobson 40-Ton Hydraulic H-Frame Press. Arburg AllRounder 221-55-250 Plastic Injection Molding Machine s/n 118097 w/ 250 kN/Ton, Novatec MD-15S Hopper Dryer and Vacuum Loader. Arburg AllRounder 221-55-250 Vertical Plastic Injection Molding Machine s/n 119008 w/ Hopper Loader. Arburg AllRounder Vertical Plastic Injection Molding Machine w/ Hopper Loader. Arburg Vertical Plastic Injection Molding Machine w/ Hopper Loader. Rapid KG-158K Plastics Granulator s/n 101926. Advantage SC-2AY-21HF Process Chiller s/n 16583. Fritz Studer AG Type RHU650 Automatic Cylindrical Grinder s/n 401.51. Falcon Chevalier FSG-2A618 Automatic Surface Grinder s/n B7851001 w/ Sargon DRO. Harig 618W Automatic Surface Grinder w/ Auto Step III Controls. Harig 618 Automatic Surface Grinder. Boyar Schultz 618 Surface Grinder. Nantong mdl. 618 Surface Grinder s/n 100277. Boyar Schultz H612 Surface Grinder s/n 26084. Sunnen MBC-1801 Honing Machine s/n 81707 w/ Power Stroke, Squaring Arm. Arter mdl. A3 16” Rotary Surface Grinder. Jack-Mill J-40 Tool and Cutter Grinder s/n JM-10856. G & P mdl. GMPC-264-6 6” Stroke Sander s/n C-821. HDT DS-20 20” Pedestal Disc Sander. Rankin 20” Pedestal Disc Sander. 3” Bench Model Belt Sander. (2)Kalamazoo 2” Pedestal Belt Sanders. Table, 2.5-1000 RPM, Power Feeds, 45” Quill Travel, Outriggers. Travels X=16”, Y=24”, Quill=6”, 16 1⁄2” x 25 3⁄4” Table. Power Feeds, 50-Taper Spindle and 40-Taper Adaptor. TOS FA5U Universal Mill s/n 058189 w/ Universal Milling Head, Power Feeds, 16” x 78 1⁄2” Table. Acra AM-3V Vertical Mill s/n 001841 w/ Newall DRO, 3Hp Motor, Chrome Box Ways, Power Feed. Lagun FTV-2 Vertical Mill s/n NA w/ Sargon DRO, Chrome Ways, Power Feed. Bridgeport Series 1-2Hp Vertical Mill s/n 193246 w/ Mitutoyo DRO, Chrome Ways, Power Feed. Bridgeport Vertical Mill s/n 121364 w/ Sargon DRO, Chrome Ways. Bridgeport Vertical Mill s/n 172378 w/ Wizard 3-Axis DRO, Power Feed. Bridgeport Vertical Mill s/n 172382 w/ Power Feed. Bridgeport Vertical Mill s/n 205294. Cincinnati Tool Master Vertical Mill s/n 6J1V5C-1063 w/ Colleted Spindle, Power Feed. 5Hp Motor, Digital RPM Readout, 40-Taper Spindle, 10” x 50” Table. 16-1600 RPM, 16” x 87 3⁄4” Table. Enco mdl. 100-1529 Vertical Mill s/n 450373 w/ Enco DRO, Box Ways, Power Feed. Rutland Vertical Mill s/n 9102831 w/ Pathfinder DRO, Power Feed. Wells Index mdl. 747 Vertical Mill s/n 16813. Deckel Universal Mill w. Bridgeport Vertical Head, Power Feeds. (6)Cincinnati Horizontal Mills (Need Work). RPM, Inch/mm Threading, Tailstock, Steady Rest, 15 1⁄2” 3-Jaw Chuck, 16” 4-Jaw Chuck. Inch/mm Threading, Tailstock, Steady Rest, 10” 4-Jaw Chuck. Steady Rest, 10” 3-Jaw Chuck. Monarch mdl. 130 20” x 54” Lathe s/n 42249 w/ 14-1750 RPM, Inch Threading, Tailstock, 12” 3-Jaw Chuck. Republic 14” x 40” Geared Head Gap Bed Lathe s/n 78-1336 w/ 35-220 RPM, Inch/mm Threading, Tailstock, 5C. Cadillac 14” x 28” Geared Head Lathe s/n 500092 w/ 83-1800 RPM, Inch Threading, Tailstock, 8” 3-Jaw Chuck, 5C. Monarch mdl. 2516 20” x 40” Tracer Lathe s/n 43881-AT w/ Monarch Tracing Unit, Tailstock, 24” 3-Jaw Chuck. Jones & Lampson No.7A 4 1⁄2 Universal Turret Lathe (For Parts). Hardinge DSM-59 Second OP Lathe s/n DV-59-7503 w/ Cross-Slide and Turret Assemblies. Hardinge DSM-59 Second OP Lathe s/n NA w/ Cross-Slide and Turret Assemblies. (5)Hardinge HC Hand Chucker’s s/n’s HC-8051-T, HC-5974-T, HC-30851, HC-1785-E, HC-1192-D.
Hardinge/Mortonair Automatic Second OP Lathe (Needs Work). Brown & Sharp No.4 Automatic Screw Machine s/n 542-4-8 w/ Bar Feed. Brown & Sharp N0.2 Wire Feed Screw Machine w/ 6-Station Turret, Cross Slide. Carolina HD10 10” Horizontal Band Saw s/n HD10-06426. Continental 100M 10” Horizontal Band Saw. Wellsaw W-20 20” Vertical Band Saw. Powermatic mdl. 87 20” Vertical Band Saw s/n 7987190. Saw King KB-36 14” Vertical Band Saw s/n B36936 w/ Blade Welder. Alltrade 14” Wood Cutting Vertical Band Saw. Northfield mdl. 1012 30” Up-acting Pneumatic Saw. Pistorious SC-12-PLH 12” Pneumatic Miter Saw s/n 72496. Pistorious MN-200 2-Head Pneumatic Miter Notching Saw s/n 29203. Luna MA-144 Pneumatic Miter Notching Saw. Elumatec KS 107/30 Up-Acting Pneumatic Miter Notching Saw. Elumatec MGS 72/10 15” Pneumatic Miter Saw. Elumatec MGS 72/30 15” Pneumatic Miter Saw. (3)CTD M225 12” Miter Saws. Tops 18” Radial Arm Saw. Comet 14” Radial Arm Saw. SawStop 10” Contractors Table Saw. Power Feeder. Elumatec mdl. E111 Automatic Fencing System. (2)Elumatec mdl. Z16 Automatic Fencing Systems. Miller Dialarc HF CC-AC/DC Arc Welding Power Source. Hobart RC250 Arc Welding Power Source and Wire Feeder. Airco CV250 Arc Welding Power Source and Wire Feeder. Janda JHC18S 10kVA x 24” Bead Welder s/n S3122. H&H 50kVA x 24” Rocker Type Spot Welder s/n H4729. Janda R30-18R 30kVA x 18” Spot Welder s/n R2837. Janda PMF2-85-30 85kVA Spot Welder s/n P3227 (Needs Arms). Power Column and Feeds, 25” x 39 3⁄4” Base. Barrett Centrifugal Chip Spinner s/n 4021714-E.
Barrett Centrifugal Chip Spinner s/n 2250166-F.
Solberga SE1235 Geared Head Power Drill s/n 966 w/ 48-1584 RPM 20” x 24” Table. Snow 3NTHC Inclined Automatic Tapping Machine s/n M42215-187. Snow TA-3-S Automatic Tapping Machine. Anderson Hydraulics Hydraulic Stretch / Wrap Machine s/n P27643. Filtration System, Schmidt Sand Blasting Pot. Cress mdl. G-5-G 2000 Deg Electric Furnace s/n 8901. (2)Roto-Finish / Torex mdl. T7230FC00 Media Tumblers. Durma 8’ Power Shear s/n 313499017 w/ Controlled Back Gaging. Notching Head, 4” x 4” x 3/8” Angle Shear, Punch Tooling. Shears, 5” x 5” Angle Shear. Amada CS-220 8 5/8” x 8 5/8” x 1/8” Hydraulic Power Notcher s/n 542510. Zagar 5C Pneumatic Collet Closer. National, Milford and Thomson Auto Riveters. Etco mdl. JR Crimping Machine. 4th Axis Brush, Delta/WYE, Rigid Tapping. ATC, 40-Taper Spindle, 15” x 35” Pallets, Chip Auger. Controls, 30-Station ATC, BT-40 Taper Spindle, 7500 RPM, 16 1⁄2” x 31 1⁄2” Pallets. Controls, 22-Station ATC, CAT-40 Spindle. ATC, 40-Taper Spindle, 7500 RPM. Controls, 20-Station ATC, 40-Taper Spindle. 20-Station ATC, 40-Taper Spindle, 16” x 39 1⁄2” Table. Dyna mdl. DM2000 Bench Model Mini CNC Vertical Mill s/n 83070200 w/ Dyna Controls. 4-Spindles, (2) Live Turrets, Double Hydraulic Bar Feed. Seiki MSC-803 Controls, 12-Station Turret, 3J Collet Closer. 6 1⁄2” x 17 5/8” Cross Slide Table. Controls, 8-Station Turret, 8 1⁄2” 3-Jaw Power Chuck. 5C Collet Closer (Needs Monitor). 8” 3-Jaw Power Chuck, Chip Conveyor. Post, 2000 Max RPM, Tailstock. Century 1050 Controls, 8-Station Turret, 5C Collet Closer. (2)LNS Quick Load Automatic Bar Loader / Feeders. (2)SMW “Space Saver 2100” Automatic Bar Loader / Feeders. (2)Clausing 2-Head Gang Drill Presses. Delta 3-Head Gang Drill Press. Delta 2-Head Gang Drill Press. (3)Burgmaster Turret Drills s/n’s 4992, 4488, 465. Clausing, Delta, Rockwell, Jet and Enco Drill Presses.